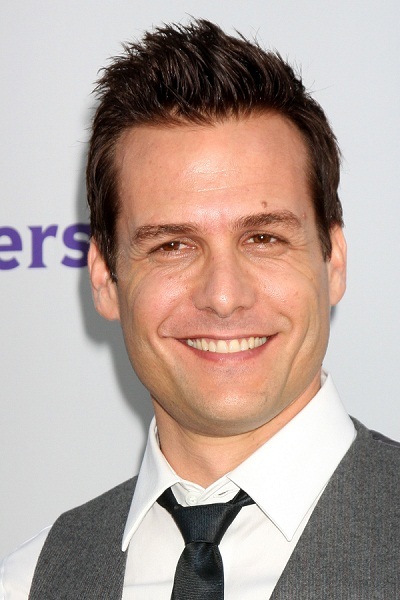 Gabriel Macht is an American actor. He is the son of Suzanne Victoria (Pulier), a museum curator, and actor Stephen Macht (Stephen Robert Macht). Gabriel is married to Australian actress Jacinda Barrett, with whom he has two children. Both of Gabriel’s parents are Jewish (of Russian Jewish, Lithuanian Jewish, German Jewish, Polish Jewish, and Ukrainian Jewish descent). His father, who is an actor, is a Jewish chaplain. Gabriel’s paternal grandfather was Jerome Irving Macht (the son of Harry Elias Macht and Jeanette/Jennie Fanny Rubin). Jerome was born in Virginia. Harry was a Russian Jewish emigrant, born in Moscow, the son of Moses Leopold Macht, who was born in Lithuania, and of Henrietta Rosenberg. Jeanette was born in Leeds, England, to a Russian Jewish father, Morris Rubin, and a German Jewish mother, Annie Jacobson. Gabriel’s paternal grandmother was Janette/Jeanette/Janet Curlenjik/Curlinjek (the daughter of Sam/Simon S. Curlenjik and Sarah Rebecca). Janette was born in Connecticut. Sam and Sarah were Jewish emigrants from Russia and/or Poland. Gabriel’s maternal grandfather was Emanuel Pulier (the son of Samuel Pulier and Sarah Gershenzweit). Emanuel was born in Letichev, in the Ukraine, to Jewish parents. Sarah was the daughter of Leopold Gershenzweit. Gabriel’s maternal grandmother was Sonia Serbin/Servin (the daughter of Meyer Serbin/Servin and Frieda/Frada Dobrin). Sonia and her parents were Jewish emigrants from Russia. He looks Castizo. There’s probably some Native American in his DNA. How would he go about acquiring Native American DNA? He doesn’t have a single great-grandparent who was born in the Americas.